Recipes: Aloha Green Pops Can't forget dessert. 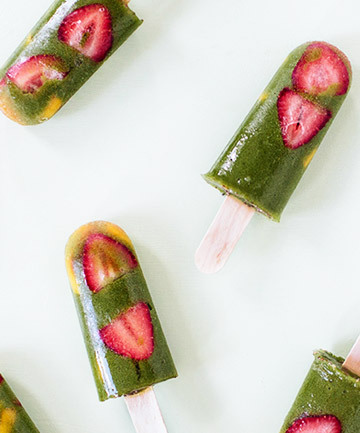 These gorgeous (and guilt-free) popsicles might melt before you get to the park, but they're perfect for a backyard picnic -- which is sometimes the best kind, anyhow. Add all ingredients (excluding the fresh fruit), in order, into a blender. Blend until smooth. Press 4 to 6 slices of fresh strawberries and mangos around the sides of your molds or paper cups, then pour in popsicle mix very gently to avoid disturbing the fruit. You want the fruit to show its bright color on the surface of the pops, so depending on your equipment, you may want to do add the fruit in stages, freezing the mixture into a slushy consistency between additions to hold the fruit in place. When the molds are filled, insert popsicle sticks and freeze until set. Mix your favorite flavor of Emergen-C drink mix with water, pour into popsicle molds, freeze and enjoy! A healthy and yummy frozen treat with the vitamin, antioxidant, and electrolyte power of Emergen-C. Mix the ingredients for the vanilla cream in a medium bowl and set aside. In a separate bowl, mix the ingredients for the orange cream. Let flavors meld for 15 minutes. Meanwhile, place a large plate in the freezer. Using a popsicle mold, freeze the vanilla cream according to the popsicle mold directions. 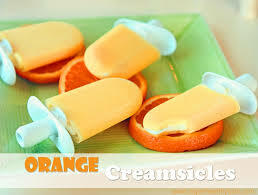 Once frozen, dip the pops in the orange cream to coat, using a spoon to help cream stick on any hard-to-reach surfaces. Place dipped ice pops on the cold plate and place back in the freezer for 10 minutes. Then, dip pops in orange cream for a second time, and freeze for an additional 15 minutes. What's summer without cool frozen treats and who can resist these three! Thanks for sharing your healthy and delicious frozen pops with us on the Plant-based Potluck Party. 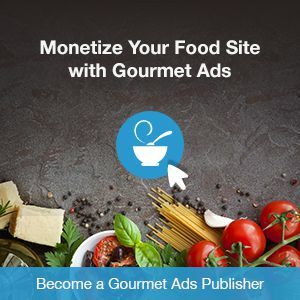 I'm pinning and sharing.